The numbers make it clear — Pennsylvania Pays! 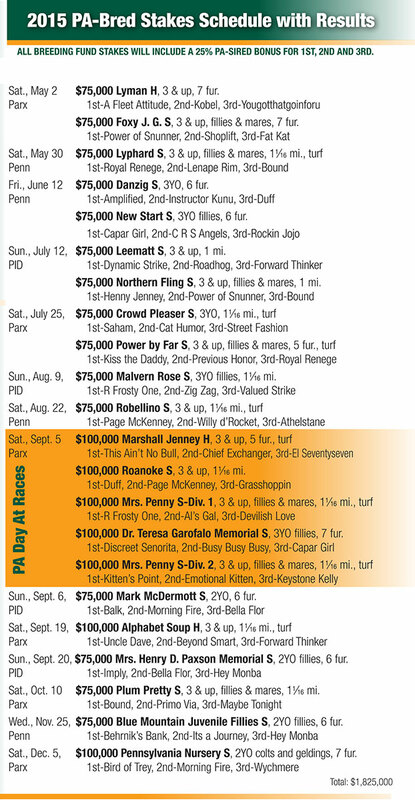 In 2018 the PHBA Breeding Fund distributed $30 million in Awards, “Owner Bonuses,” and Restricted Race Purses, including $11 million in Breeder and Stallion Awards, $6 million in “Owner Bonuses” at Parx, Penn National and Presque Isle Downs (owner bonus of up to 40% of the purse earned on overnight races – paid with the purse, and $2.75 million in purses for Pennsylvania-Bred Stakes representing 22 races). In addition, the Breeding Fund and the Pennsylvania Horsemen (HBPA and PTHA) paid $12 million in purses for the Pennsylvania-Bred restricted races. 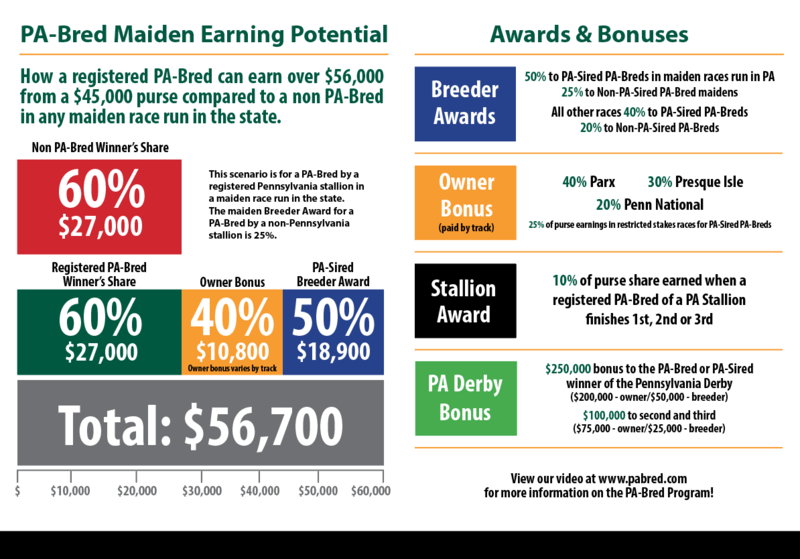 If you’d like to learn more about breeding and owning PA-Breds, please contact Executive Secretary Brian Sanfratello by phone at 610.444.1050 or by email at pabreeder@gmail.com.